Pedalium murex commonly known as Large Caltrops, Gokhru and Bara Gokhru was traditionally used to help patients with reproductive disorders such as impotency in men, gonorrhoea and leucorrhoea in women . Pedalium murex Linn. has also been used as aphrodisiac in traditional Indian medicine to treat male sexual dysfunction and impotency. It is sometimes confused with Tribulus terrestris, a popular testosterone booster, but their chemical compositions are very different. The fruits of Pedalium murex Linn. are rich in polyphenolics (flavonoids and phenolics), glycosides like sapogenin (diosgenin 0.06%) and soluble proteins (20.14 mg/g) . Pedalium murex has been traditionally employed as aphrodisiac but very few scientific data is available on the aphrodisiac and fertility-enhancing properties of this medicinal plant. Therefore, Balamurugan and associates  aimed to evaluate aphrodisiac activity of Pedalium murex root extract to promote sperm count, motility, and testosterone in animals with testicular injury. Pedalium murex extract (200 and 400 mg/kg) exhibited an increase in mating and mounting behaviour, body weight, sperm motility, pregnancy percentage and also showed increased levels of testosterone and luminal spermatozoa in treated animals compared to control group. Vikas Sharma and colleagues  also provided evidence that Pedalium murex fruit extract possesses aphrodisiac property. They fed rodents with the extract for 28 day with 50, 100 and 150 mg/kg of body weight per day. There was a significant increase in the penile erection index, mount latencyand, intromission latency and serum testosterone level (p<0.05) throughout the period of study. Interestingly, researchers reported that observed beneficial effects (including increased serum testosterone levels) extended up to two weeks past withdrawal of the treatment. In their in vitro part of the study, significantly elevated nitric oxide was also noted. These studies lend support for the traditional use of Pedalium murex as a sexual stimulating agent and offer a significant potential for further research. Pic. 1 – Pedalium murex (P. murex) Linn plant. It has been demonstrated that plants, containing high amounts of secondary metabolites like phenolic have been identified as a free radical or active oxygen scavengers. Therefore, Patel and associates  aimed to evaluate a potential new source of antioxidant from Pedalium murex fruits. The fruit of Pedalium murex has shown to have extensive antioxidant properties. The results also showed that ethyl acetate solvent fractions exhibit higher antioxidant activities as compared with the other fraction. Antioxidant activity of methanolic extract of Pedalium murex fruits has also been reported in vivo using carbon tetrachloride intoxicated rat liver . Decreased activity of antioxidant enzymes, such as superoxide dismutase, catalase, glutathione peroxidase and glutathione reductase in carbon tetrachloride intoxicated rats signifies its antioxidant activity and hepatoprotective activity . Anti hyperlipidemic potential of Pedalium murex fruits has also been reported by Balasubramanian et al. . Administration of 200 and 400 mg/kg of Pedalium murex fruit extract to rats with diet induced hypercholesterolemia revealed a significantly decreased total cholesterol, triglycerides, low density lipoprotein (LDL-cholesterol), very low density lipoprotein (VLDL-cholesterol) and increase in high density lipoprotein (HDL-cholesterol). Pedalium murex extracts has also been reported to possess nephroprotective (fruit) , antiulcerogenic (fruit) , and antimicrobial (leaves) , activity. Fruits of Pedalium murex also exhibited diuretic activity in animal models . 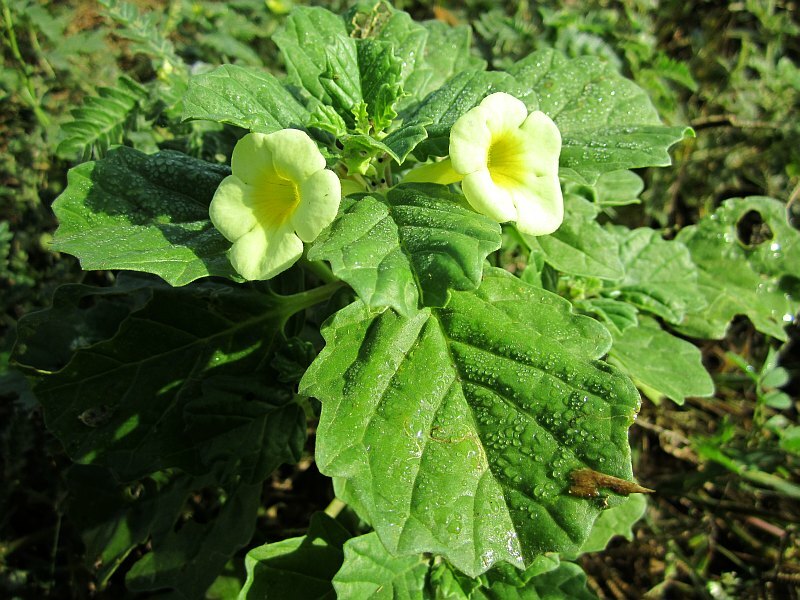 Prostane, herbal formulation containing Pedalium murex, was reported to dose-dependently inhibit 5α-reductase activity and exhibited alpha-adrenergic antagonistic activity . The acute toxicity studies of the Pedalium murex plant were reported to be safe in the doses up to 260 mg/kg in mice . Oral administration of Pedalium murex produced no observable side effects . Pedalium murex extract produced no toxic symptoms or mortality up to a dose level of 2000 mg/kg body weight orally in rats . Patel, Dinesh Kumar, et al. “Pedalium murex Linn. : An overview of its phytopharmacological aspects.” Asian Pacific Journal of Tropical Medicine 4.9 (2011): 748-755. Patel, D. K., et al. “Pedalium murex Linn (Pedaliaceae) fruits: a comparative antioxidant activity of its different fractions.” Asian Pacific journal of tropical biomedicine 1.5 (2011): 395-400. Balamurugan, Gunasekaran, P. Muralidharan, and Satyanarayana Polapala. “Aphrodisiac activity and curative effects of Pedalium murex (L.) against ethanol-induced infertility in male rats.” Turk J Biol 34.2 (2010): 153-163. Sharma, Vikas, Mayank Thakur, and V. K. Dixit. “A comparative study of ethanolic extracts of Pedalium murex Linn. fruits and sildenafil citrate on sexual behaviors and serum testosterone level in male rats during and after treatment.” Journal of Ethnopharmacology 143.1 (2012): 201-206. Srinivas, P., L. Venkateshwarulu, and A. C. H. Kumar. “Antioxidant activity of Pedalium murex fruits in carbon tetra chloride-induced hepatopathy in rats.” Int J Pharma Bio Sciences 2.1 (2011): 622-628. Balasubramanian, Mukundh N., P. Muralidharan, and G. Balamurugan. “Anti hyperlipidemic activity of Pedalium murex (Linn.) fruits on high fat diet fed rats.” Int J Pharmacol 4.4 (2008): 310-313. Shelke, T. T., et al. “Nephroprotective activity of ethanolic extract of dried fruits of Pedalium murex linn.” J Cell Tissue Res 9.1 (2009): 1687-1690. Banji, David, et al. “Scrutinizing the aqueous extract of leaves of pedalium murex for the antiulcer activity in rats.” Pak. J. Pharm. Sci 23.3 (2010): 295-299. Soosairaj, S., et al. “Aspergillosidal effect of Pongamia glabra and Pedalium murex-a comparative study.” Journal of Phytological Research 21.2 (2008): 221-224. Sundaram, R., et al. “Protective effect of Prostane in experimental prostatic hyperplasia in rats.” Asian J Androl 4.1 (1999): 175.